*Rafael Mendez arrived like a thief in the night at 120 Rue des Martyrs. Rafael Mendez arrives like a thief in the night at 120 Rue des Martyrs. Deciding whether to write in the present or the past tense is a conscious decision you should make before you even start a first draft of a short story or novel. 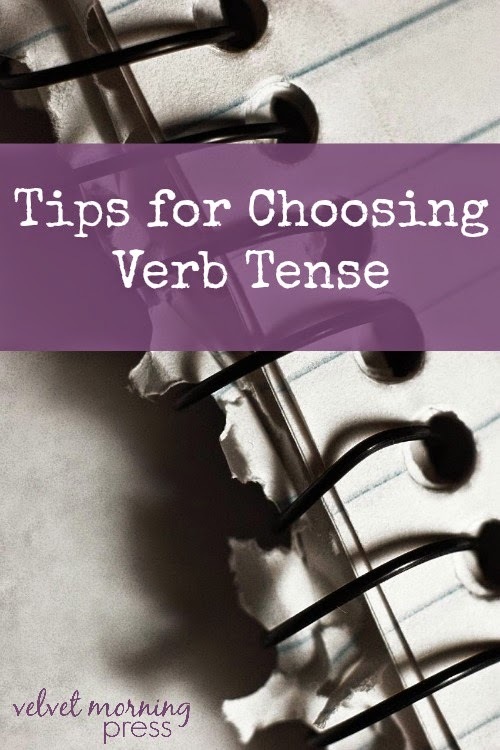 Of course, you can change your mind and revise, but the more thought you put into verb tense at the beginning, the fewer headaches you (and your editors) will have throughout. As simple as this concept may seem, it is a common pitfall. Often, problems arise when the writer heads into the territory of present tense. The charm of the present tense is it adds another layer of excitement to the action. The reader feels as if everything is unfolding at that very moment rather than in the less-dramatic past. But present tense is difficult to sustain in a story with many characters, subplots and backstories. I’ve often seen writers start in the past tense, then shift into the present, and finally shift back and forth almost arbitrarily. Then there is the writer who sticks to the present tense – but his or her story has many scenes that happen in the past. In the end, the transitions are often awkward and confusing. I have to admit, I’m guilty too. When I started writing my soon-to-be-released novel “Close to Destiny,” I was itching to use the present tense. But in the end, past tenses gave me a smoother story. In most cases, I recommend using the simple past tense. This is pretty much a standard that you will see in most novels. For good reason, it’s easy to sustain and allows you to seamlessly use various past tenses (past continuous, past perfect and past perfect continuous) to build a complex story. Still want to use the present? Ideally, use it for a short piece with one main event happening right at the moment or a short “slice of life” story. It has more impact when used this way, and you won’t have to worry about awkward transitions. And, most importantly, whether you opt for past or present, stick to it! You will make your editor’s day.